Oil prices fell on Wednesday, weighed down by ample supplies despite ongoing output cuts by producer cartel OPEC and looming U.S. sanctions against major crude exporter Iran, Reuters reports. “Aggregate production - both actual and projected - is growing for the majors,” S&P Global Ratings said in a report published on Tuesday. “We expect the EIA report to display bearish results amidst higher rig counts and production levels in the U.S.,” said Singapore-based brokerage Phillip Futures. 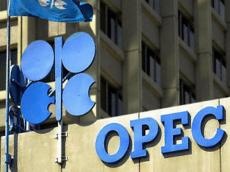 Despite Wednesday’s dips and some indicators implying the financial oil has overshot physical oil, overall crude market conditions have tightened since 2017 when the Organization of the Petroleum Exporting Countries (OPEC) started to withhold supplies to push up oil prices.